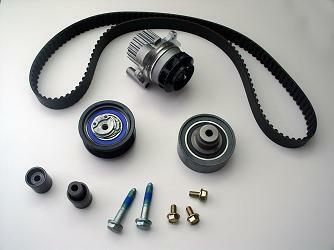 Is your timing belt ot timing kit replacement due? Engine making noises ? Do you need a flexible option for your vehicle services and repairs? Are you looking for a mechanic who can come to you? Lube Mobile provides you with a local, fully qualified mechanic equipped for fast and efficient timing belt replacement and timing belt kit replacement. All of our vehicle repairs and service work is covered by a 12 month/20,000km nationwide warranty so you can rest easy no matter where you are in the country. Timing belts should be replaced regularly and the schedule will be recommended by the manufacturer. Timing belt oil seals leaking ? Worn edges or ribs on the belt? Noisy timing belt or tensioner ? Guides worn or engine noise? Lube Mobile’s fully qualified technicians arrive at your preferred location on time and equipped for all of your vehicle repairs, maintenance and service needs carrying with them tools and knowledge to get the job finished on time and on budget. Our online booking facility is fast and easy to navigate, providing you with an arrival time and place in mere minutes. We need only a couple of pieces of quick and easy information regarding your vehicle’s make, model and age. We use only the best quality parts and spares, including oils and fluids – there are no exceptions! If you’re looking for the most convenient and best quality mechanic work for your vehicle, contact Lube Mobile on 13 30 32 or simply enter your postcode above in the box to start the booking process. *Please note - due to these being inside the engine, the mechanic may not be able to give the exact price untill all components are inspected like Timing Belt, Tensioner, oil seals, guides, water pump etc. I was very happy with everything from requesting a quote to the completion of work. I will definitely be booking Lube Mobile for my mechanical needs in the future. I thank Nathan so much for the exceptional service he provided. He kept me informed and worked diligently all the time he was here. I will definitely use your service again. Thank you. Your service was excellent! I have already told others! Once again thanks and I will always use you in the future! Cheers! The technician working on my car Murad (code C69) far exceeded my expectations. He explained all work that needed to be carried out and showed me the damaged parts explaining the what, how and why. I felt very confident in his ability and he didn't waste time. A great representative for Lube Mobile. Well done.